Two years after being diagnosed with cancer and beating it, Mark DeMoss, founder of DeMoss, which market’s itself as America’s largest PR agency serving faith-based organizations and causes since 1991, announced Tuesday that he will officially close his business on March 29. “Earlier today I completed informing our clients of my decision to close my PR firm. I wanted to now share it with others,” DeMoss began in a letter shared on Twitter by journalist Jonathan Merritt. 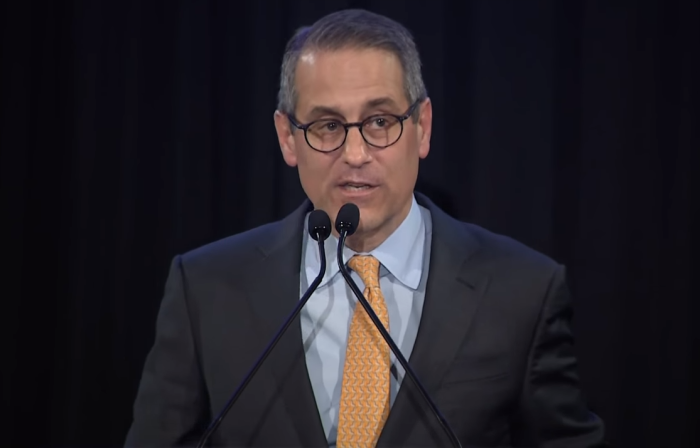 DeMoss whose firm represents high-profile Christian organizations such as, the American Bible Society, the Billy Graham Evangelistic Association, The Potter’s House and Samaritan’s Purse, says he is closing his firm because he doesn’t support the current direction of the public relations industry and believes he needs to take a sabbatical after never taking one over his entire career. “At age 56, it is more clear to me than ever that my passion and skill lay in the practice of public relations – not the business of PR. Most successful PR firms began reinventing themselves and changing their business models a number of years ago, and I realize I’m not wired to want to do that with my firm. So, after nearly three decades of owning and running a firm, traveling extensively, directing and managing PR campaigns, and navigating every conceivable type of ministry crisis, I have decided to dissolve my firm on Friday March 29,” he wrote. “I plan on working hard the next 11 weeks to oversee the successful completion of our firm’s work. After that I expect to take some time to read, study, pray, seek counsel and maybe to write. For the past 20 years, I have given a sabbatical to every employee after their completion of five, 10, 15 and 20 years of service. However, as my wife often reminds me, I’ve never taken a sabbatical myself! So I will look forward to a period of rest beginning in April,” he added. DeMoss’ announcement on Tuesday triggered reactions from many religion journalists. “Mark DeMoss is someone I respect a lot,” Salt Lake Tribune writer Peggy Fletcher Stack, wrote on Twitter. “Surprising news! I talked to Mark DeMoss when he parted ways with Liberty after clashing with Falwell Jr. over the university president's endorsement of Trump,” Religion News Service reporter Emily McFarlan Miller noted. DeMoss who is also a vocal critic of President Donald Trump, parted ways with the board of Liberty University in 2016 after the university’s president, Jerry Falwell Jr., endorsed the then Republican presidential frontrunner. The public relations executive, who had served as chief of staff to Jerry Falwell Sr., the founder of Liberty University, told The Washington Post in a spring 2016 report that the Trump campaign was filled with insults and did not reflect the values of Falwell Sr.
DeMoss further noted in The Washington Post interview that he strongly objected to Falwell Jr.’s comparison of Trump to Falwell Sr., because he spent more time with Falwell Sr. than anyone, including his family. A year earlier at Liberty University’s convocation in 2015, Falwell Jr. said he and DeMoss shared a dorm while at Liberty together and noted how close the DeMoss and Falwell families were. DeMoss’ public criticism of the Trump campaign however reportedly rankled some in the Liberty community including Falwell Jr.
"I hope we have not 'fallen out' over this matter," DeMoss told RNS after his resignation. "I am a Liberty graduate and have been associated with the school for nearly 40 years. Despite our differences on this endorsement, Jerry and I share a love for Liberty University." On Tuesday, DeMoss thanked God for the time he was able to spend in his beloved profession and said he was grateful to be alive. “In my years in PR, eight with Jerry Falwell, and 28 more with this firm – I’ve experienced far more than I ever envisioned and have been blessed well beyond anything I deserved. I feel as though God gave me an all-access pass to so much evangelical history of the past three-and-a-half decades,” he said. “I’ve derived personal and professional fulfillment from supporting some of God’s great servants and leaders of the 20th and 21st centuries. This is how I always viewed my PR firm – working behind the scenes to give greater support and lift and protection to the people, programs and ministries devoted to advancing the Kingdom,” he added.